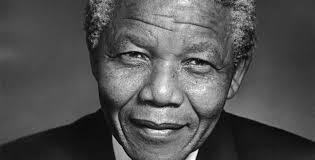 Nelson Mandela was imprisoned for 27 years as a terrorist. And then he was released and became one of the greatest freedom fighters the world has ever known. For me, the lesson is clear. We cannot rely on others for a moral compass. I am thinking of Chelsea Manning, Edward Snowden, Julian Assange, Tim DeChristopher and Lord knows how many others who have been exiled or imprisoned for “treason” in the United States. I believe they will be exonerated in the long run, just as Mandela was, and shown to be on the side of justice. 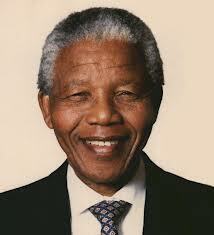 We shake our heads incredulously when we hear that Nelson Mandela was in jail and at hard labor for 27 years. Twenty-seven years! He was imprisoned just a few months before I was born, and released a few months before I married. He came out to have a whole new life, like a butterfly breaking out of an unwanted cocoon. 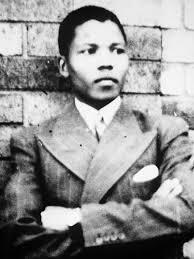 The news media seems to be playing up the aspect of Nelson Mandela’s story that deals with forgiveness. He forgave his captors. He was not vindictive. He believed in reconciliation. But I do not forgive them. And the part of Mandela’s story I would like to focus on is his incredible perseverance in achieving his lifework of overcoming the evil of apartheid in South Africa. It takes great self-awareness and rock-solid confidence to maintain one’s moral compass in the face of a whole state and social apparatus set up to prove one wrong. For example, climate activists today, like the Greenpeace 30–locked up in Russia for daring to challenge Russian drilling rights in the Arctic–need to be incredibly resolute in their insistence that we must do what we can to stop the runaway warming of the planet. Today we have many ways of expressing our solidarity—ways that were not available to sympathizers of Mandela back in the 1960s, ‘70s and ‘80s. We need to use these communication channels to send a solid wave of support back to those who dare to challenge today’s rulers—the fossil fuel industry, the National Security Agency, and the like. Mandela fought the good fight and he won. Today, our fight is not for justice in one country, but for the very survival of the human race—and so many other species—on this planet. We owe it to the memory of Nelson Mandela to stand firm and refuse to be bullied or intimidated. We who are fighting for a sustainable planetary future are on the side of justice and will be vindicated as such, just like Mandela, if we are not all washed away first. Nelson Mandela was great because he never gave up. He remained true to his own moral compass and he lived his ideals. We must do the same today, and then some, to keep Mandela’s flame alive and burning brightly for a new day on this sad beleaguered planet of ours. A cynic could maybe come to the conclusion, that Mandela’s beatification is only possible because he accepted the deal to abolish political apartheid while keeping economic apartheid in place (miners strikes, 20 percent unemployment). This is the difference to Robert Mugabe. Mugabe led his country to freedom like Mandela did, but when he distributed the big landholdings of the white farmers to poor blacks, he was condemned, vilified, demonized. The West imposed stringent economic sanctions on Zimbabwe, which are still in place, and tried to destabilize the government with the usual methods (NGO’s on a humanitarian mission, economic sabotage, corruptible politicians like Morgan Tsvangirai). One last point: Nelson Mandela was a good friend and admirer of Muammar Gaddafi, he was a friend of Fidel Castro Ruz, he was a member of the Communist party (like Pete Seeger, about whom you also wrote a wonderful blog post). Nelson Mandela enjoyed a lifelong friendship with Robert Mugabe. Both attended Fort Hare University in South Africa. Both served long prison sentences and are seen as their countries’ liberators. Nelson Mandela deserves the unanimous praise despite the shortcomings of South Africa’s transition, but one wonders, what Western media will write, when Robert Mugabe dies. You are so right, Mato, to invite comparison with Mugabe. Mandela is being practically worshipped by the international media because he presided over the end of apartheid but did not fully challenge white supremacy in South Africa. Blacks are still far more likely to be poor in South Africa, and other parts of Africa, than whites. This is an international phenomenon…far beyond the abilities of any single individual to rectify, no matter how talented. In my own homage, I was focusing especially on his steadfastness during the 27 years of imprisonment, when he was able, remarkably, to keep his courage and moral rectitude alive despite every effort to extinguish his spirit. That is worth saluting, I believe, however he may have had to compromise in the turbulent years that followed his release.